The Sportcard Show Times are from 9:00 a.m. to 4:00 p.m.
Jose Canseco is a retired outfielder and designated hitter who played for the Oakland Athletics (1985-1992), the Texas Rangers (1992-1994), the Boston Red Sox (1995–1996) and then back with the Oakland A’s. The Oakland Athletics drafted Canseco in the 15th round of the 1982 Major League Baseball draft. He played minor league baseball with the Medford A’s, Madison Muskies, Idaho Falls A’s, and the Modesto A’s. Canseco started the 1985 season with the Class-AA Huntsville Stars and became known as “Parkway Jose” for his long home runs (25 in half a season) that went close to the Memorial Parkway behind Joe Davis Stadium. Canseco was awarded Rookie of the Year 1986 and American Leauge MVP 1988. PFP Sports & Celebrity Talent Agency is a top booking agent for motivational sports speakers and celebrities. 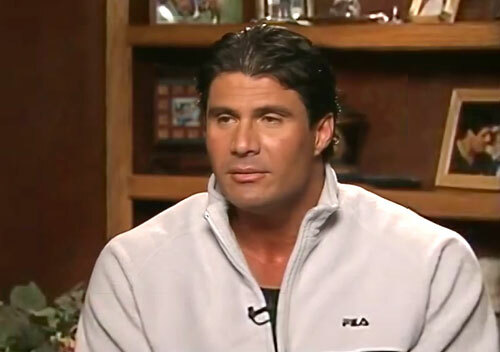 If you would like to book MLB stars like Jose Canseco for a speaking engagement, personal appearance or special event, you can request Jose Canseco agent and speaker information from PFP Sports & Celebrity Talent or call 800.966.1380.